Installing a shower enclosure is a great way to freshen the look of your bathroom without the hassle and expense of a full-scale remodel. And the company that offers some of the finest shower enclosures in Henderson is 31-W Insulation. Whether your bathroom design is traditional, eclectic, or shabby-chic, you’re very likely to find something complementary as our enclosures are available in a range of appealing styles. After you reach out to us, we can visit you at your Henderson home for a complimentary consultation, during which we will help you design a door that suits your personal aesthetic and meets your target budget. We want you to be fully satisfied with your selection, so we will take the time to answer any questions you may have. As for the installation, you can expect unfailingly courteous service and stellar workmanship from our team. All of our installers are experienced and highly trained and will ensure that your enclosure fits in your shower space precisely with a watertight seal that will last for years to come. 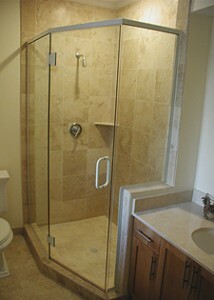 Contact 31-W Insulation today if you would like more information about our shower enclosures. We would be happy to schedule a consultation and provide you with a free estimate.